The phone rings. When you answer, a pleasant voice wishes you a good day and politely informs you that there is an issue with your Medicare account that needs to be remedied. When you ask what the problem is, you’re told you need to provide your social security and a bank account or credit card number so the organization can update its files, send out a new Medicare card, issue you a refund for overpayment or some other logical-sounding reason. You comply with the request and go about your business, never realizing you’ve been scammed until it’s too late. It’s a scenario all too familiar to many of America’s more than 50 million citizens age 65 and over. In fact, Medicare-related fraud—including medical identity theft and fraudulent billing—costs taxpayers an estimated $60 billion each year. And according to the Coalition Against Insurance Fraud, a nonprofit alliance of consumer groups, insurance companies and government agencies fighting all forms of insurance crime, Medicare-related scams targeting seniors are unlikely to stop anytime soon. RewardExpert spoke with the organization’s Director of Communications, James Quiggle, about Medicare-related scams and what any senior can do to avoid becoming a Medicare fraud victim. Senior citizens are a favorite target of scammers and fraudsters. In fact, 1 in 18 older Americans will fall victim to a financial fraud or scam each year according to a study published in the American Journal of Public Health. Some of these scammers impersonate the IRS and demand payment of outstanding tax bills or pretend to be the friend of a grandchild in trouble and in need of money. However, Medicare-related scams are particularly prevalent. While some crooks will claim to be Medicare representatives, Quiggle said others have developed more sophisticated swindles to separate seniors from their Medicare information and defraud the system through false claims. Once they have those vital digits, they bill your Medicare account. “If the expenses are big enough, they can max out your Medicare account,” Quiggle added, a situation that can lead to claims denial when you have legitimate medical expenses you need Medicare to cover. Fortunately, Quiggle said there are steps you can take to prevent yourself from becoming a Medicare scam victim and it starts with learning to recognize the warning signs. This includes callers claiming to be from Medicare and demanding payment or confirmation of your Social Security number before they can send out a new Medicare card. 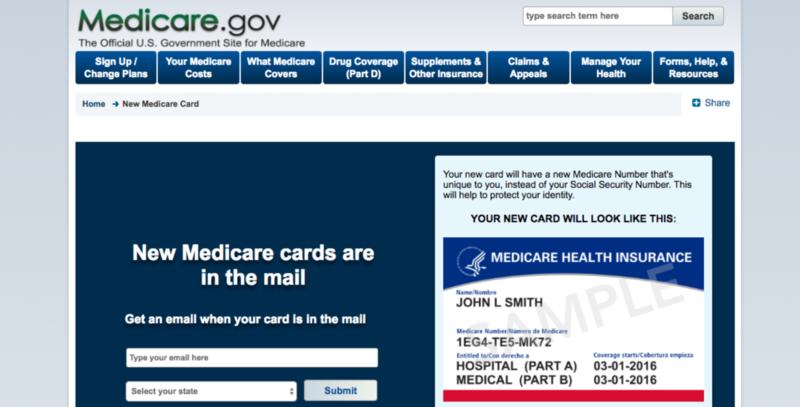 Medicare began mailing out the new cards—which feature random characters instead of Social Security numbers—in April. The updated cards are sent free of charge, and you can sign up for an alert to let you know when your card has been mailed. Quiggle noted that it’s important seniors know they cannot always trust the number that appears in the message window on the telephone. “Scammers have the ability to spoof Medicare,” he said. If you fear you’ve already fallen for a scam, Quiggle said you should call Medicare immediately. Seniors can find helpful tips for reporting Medicare fraud on the Medicare website. You may also want to reach out to the Senior Medical Patrol in your area.